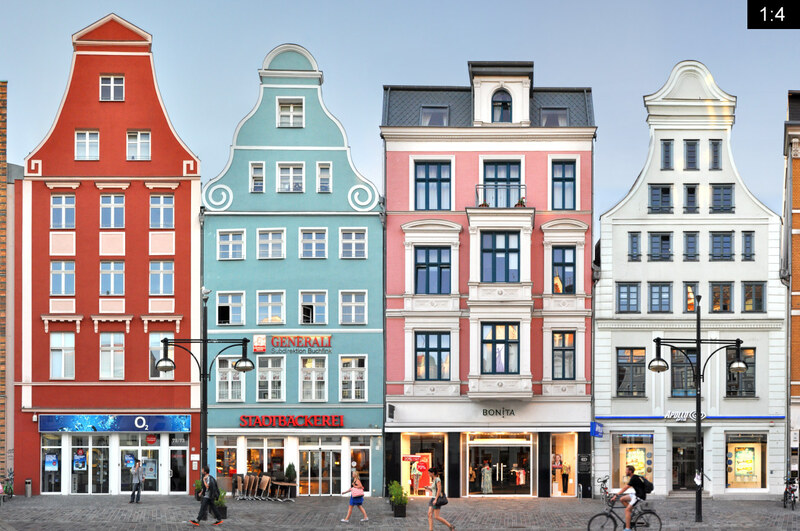 A street block with (mostly) historic gabled houses along the Kroepeliner Strasse in Rostock. 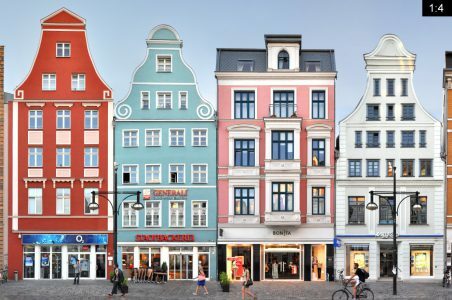 The largest city in the state Mecklenburg-Vorpommern had been an important trade harbour of the Hanseatic League, hence it had a heritage of medieval buildings (which is best evidenced by the unique linear representation of Rostock in the 18 metre long Vicke-Schorler-Roll of 1586). 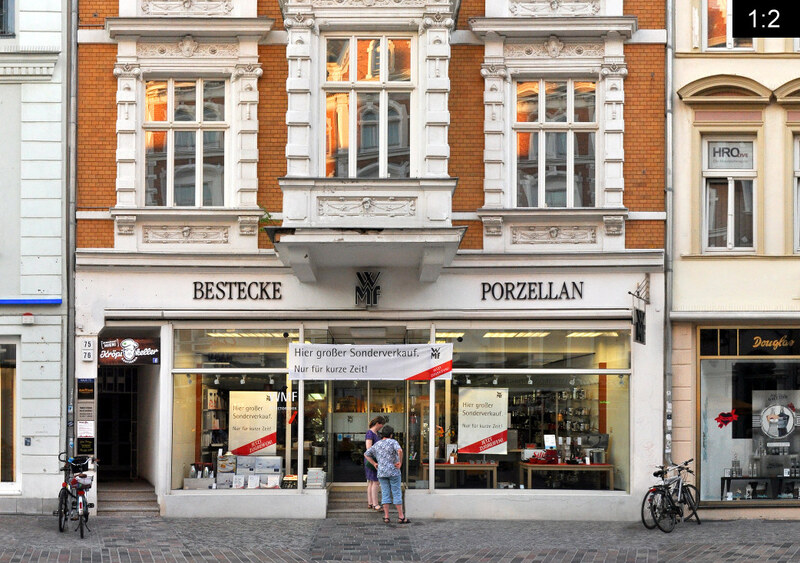 While most of medieval Rostock is gone, especially along the Kröpeliner Strasse historic architecture has survived. The gabled houses in the street are mainly of baroque, classicistic or historicistic style. 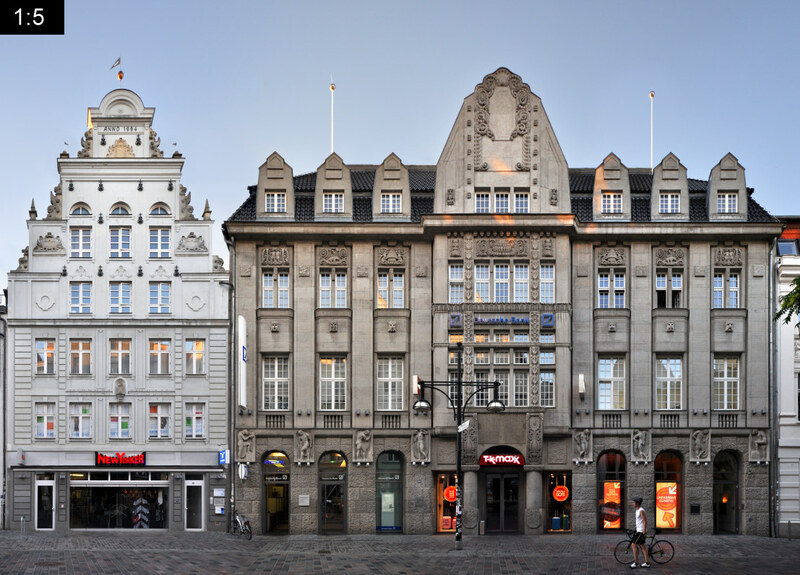 One building in brick gothic style that survived is the Ratschow-Haus, visible in the middle of the right block. It is named after the family that owned a shop here in the early 20th century and its facade bears several ornamental medallions with biblic scenes. Today ist is housing the city library. 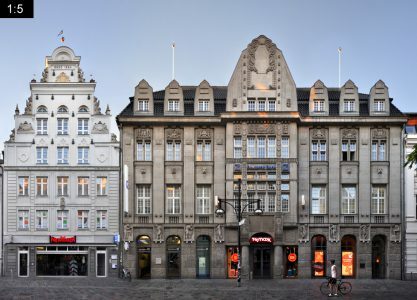 The building to the far left appears to be from GDR times, with a facade reluctantly fitting its surroundings. The left street block also borders the Universitätsplatz (University Square), a central city square with trees and fountains much frequented by locals and tourists. On one side the historic main building of Rostock University (the oldest in northern europe) is seated. 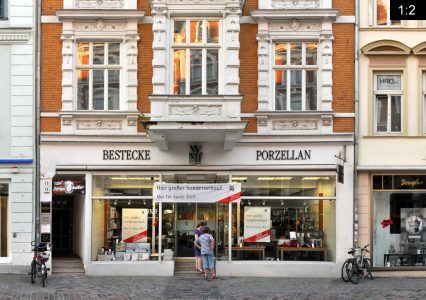 The Kröpeliner Strasse itself is named either after the small city Kröpelin to the west of Rostock or after the influential family of that name that once lived in Rostock. Or maybe both possible origins served as inspiration here. 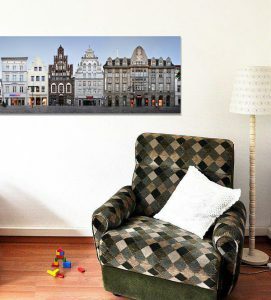 This panorama was presented in week 2 of our 101 weeks 101 cities of europe project.